How much time can you afford to waste? 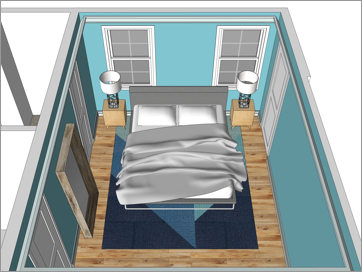 "I kept hearing good things about SketchUp. Architects like me clearly love using it, so one day I finally decided it was time to give it a try. 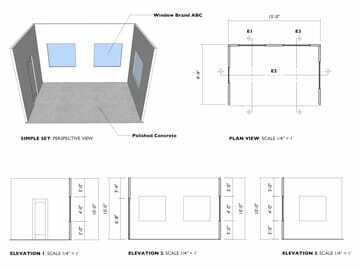 Going into things, my goal was to be able to design homes in SketchUp and then create construction documents with LayOut." 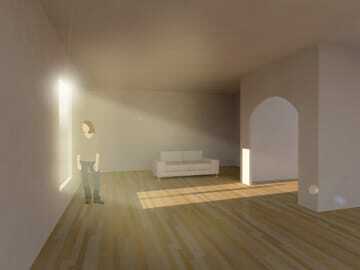 "Everybody told me SketchUp was easy to learn, so I downloaded it, and immediately tried to model my own house. And I was doing pretty well until I hit a snag trying to model the roof. After struggling in SketchUp for a bit, I searched the internet for some help, and found a video tutorial. 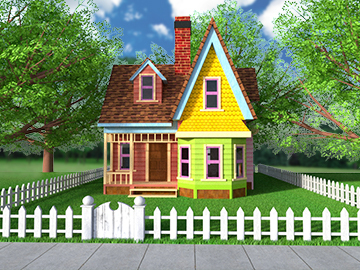 I was able to follow the steps in the tutorial and get something close enough to what I wanted, so I moved on, and continued to model my house. But progress got slower and slower. The closer I got to completing the model, the more often I got stuck and had to search the internet for how to get unstuck. BUT the first time I used it on the job, it was a very different story. I was on a deadline, everything in the model needed to be right, and when design changes came up, I needed to be able to make them in SketchUp. I was in way over my head." Tom’s situation is both extremely common and completely avoidable. 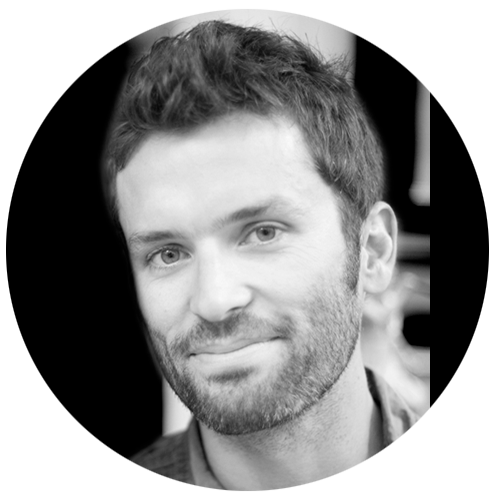 I’m Alex, the founder and lead instructor at SketchUp School. 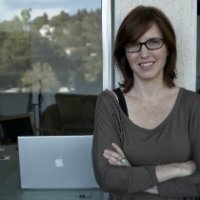 We have been teaching SketchUp in person and online for over a decade and I've personally taught SketchUp in the classroom to thousands of professionals. Over the last 10+ years, we've developed and refined a large collection of classes specifically for professionals. In our advanced classes, we meet students all the time that have taught themselves SketchUp. Those students inevitably struggle in our classes because they're trying to build professional skills on a weak foundation. 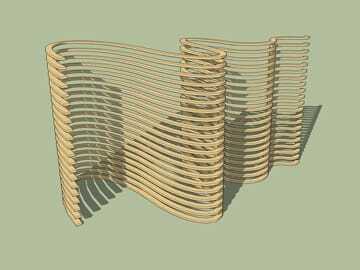 This is one of the the most costly mistakes people make when learning SketchUp. So what ever happened to Tom? After getting in over his head on his first real world project, Tom realized he needed to get serious about learning SketchUp. That’s when he found SketchUp School, and saw we had a video course in our library that sounded perfect. As soon as he signed up, one of our instructors reached out to him, and they had a conversation about what he needed to learn and how much experience he had with SketchUp. Tom had planned to jump straight into one of the more advanced courses, but the instructor recommended that he start by reviewing the lessons in our intro course, The Complete Intro to SketchUp. 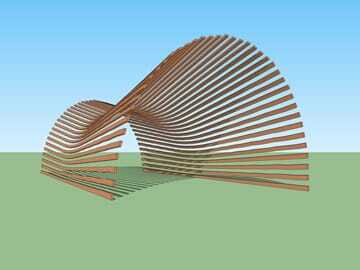 "This is such an amazing course - I've finally learned the right way to build a SketchUp model that's organized and flexible to edit. Already, I've saved tons of time and headaches! I look forward to even more ways to expand my SketchUp arsenal. You have a good thing going for sure." Instead of wasting time drowning in an advanced course, Tom filled in all the holes in his understanding of SketchUp. And, as soon as Tom got through the fundamentals, he jumped into the course that had originally caught his eye. Now, Tom does all his projects in SketchUp (and life is good). 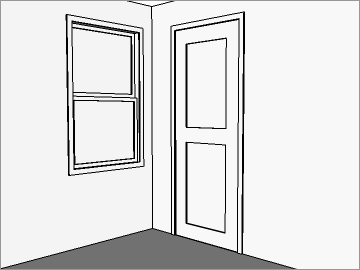 You’re here because you need to learn SketchUp. 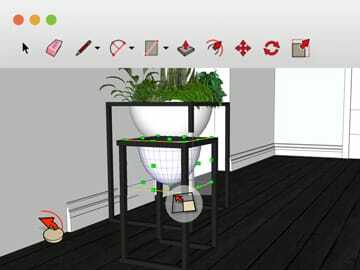 You’ve probably even imagined what it would be like to use SketchUp to do what you need to do and you know the impact will be huge! So, which sounds like a better approach for reaching your goal? Option A: Waste a ton of time, experience stress, anxiety and frustration along the way, and ultimately risk falling short. Option B: Learn exactly what you need to learn with the guidance and support of experts. When you start your membership, an instructor provides you guidance, so you're sure to learn the right things, in the right order. Along the way, you're given challenges at the right level of difficulty, ensuring you convert knowledge to skill. And, if you need it, our instructors are here to help. If you’re a hobbyist, a membership to our Video Course Library is overkill as we dive deeper into topics than you need to go. THEN our Video Course Library is PERFECT for you. Get started by learning the right way to use the fundamental drawing, editing and navigation tools. 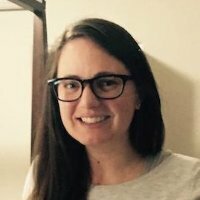 Learn to create well organized 3D models, plus learn techniques to avoid common pitfalls for new users. Learn the best ways to style your model to get everything looking just the way you imagined. 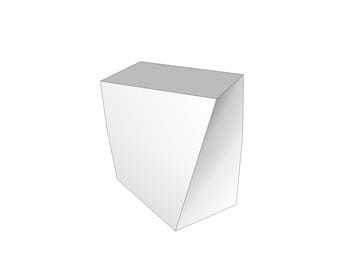 You know the fundamental tools in SketchUp. 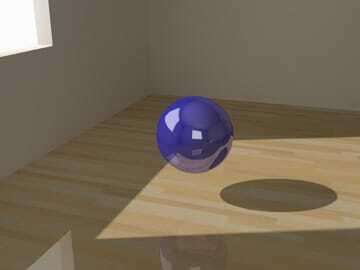 Learn to apply your skills to everyday modeling problems. 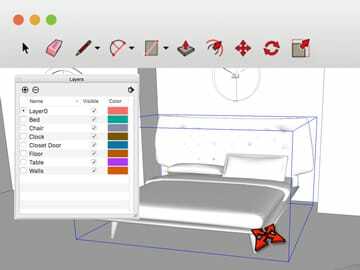 Discover the lesser known features of SketchUp that make it possible to create just about anything you want. "NOW I KNOW THE RIGHT WAY TO USE SKETCHUP!" "Everything I’ve been working on is much faster this time around knowing how to properly use the tools. I look forward to watching more courses!" 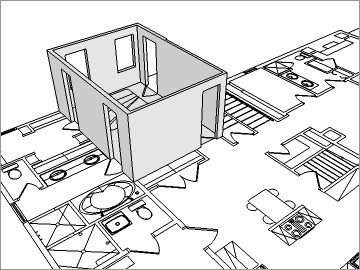 Learn how to start your SketchUp models from measurements, floor plan PDFs and AutoCAD files. 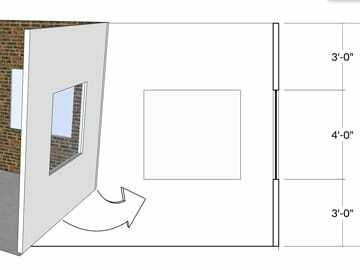 Find out how to build custom door and window components quickly and efficiently. Use Follow Me and Profile Builder to add base molding and crown molding to a room. 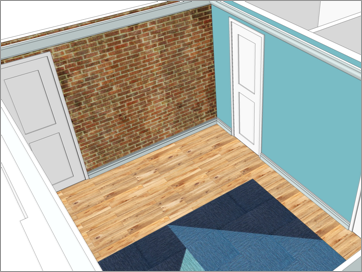 Bring your space to life with real-world paint colors, realistic finishes and custom materials. 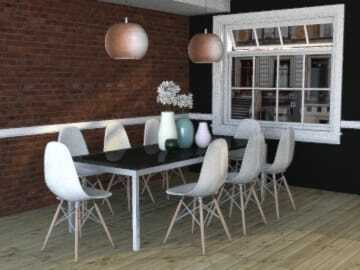 Find amazing furnishings on the 3D Warehouse, plus learn how to edit anything you find. 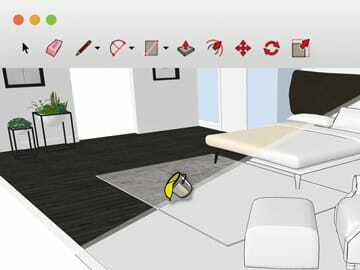 Create awesome sketches, renderings & construction docs from your finished SketchUp model. "READY TO USE AT WORK THE NEXT DAY!" "This course was great! The next day at work I was asked to do a project in SketchUp and I felt like I knew exactly what I needed to do. I’m much better equipped to approach a project and start working on it." 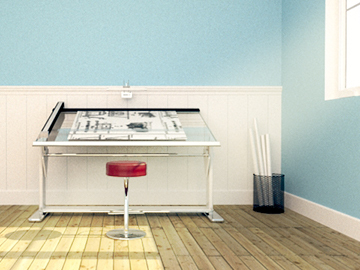 Combine SketchUp, V-Ray & Photoshop to render stunning images in a fraction of the time. 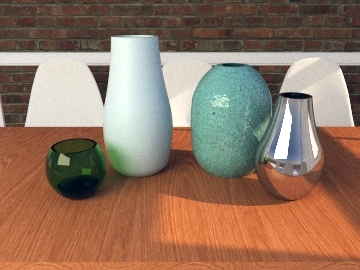 Learn to think like a photographer to make rendering with V-Ray easy. Find out how to set-up sunlight and artificial lights, and how to balance them with your camera's exposure. Learn how to quickly set-up common material types, and how to edit basic properties to get the right look. Find out the recipe for setting-up a daytime, exterior rendering set within a realistic landscape. 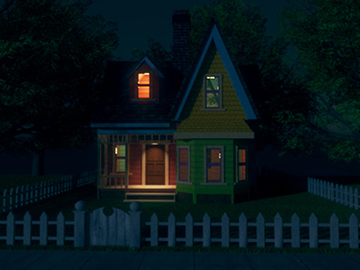 Find out the recipe for setting-up a nighttime, exterior rendering. 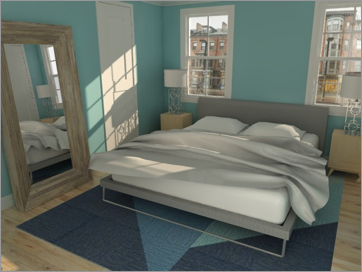 Find out the recipe for setting-up a daytime, interior rendering. 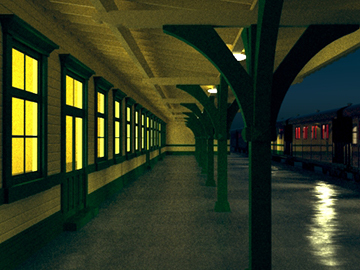 Learn how to convert your rendering from day to night, and how to relight with artificial lights. 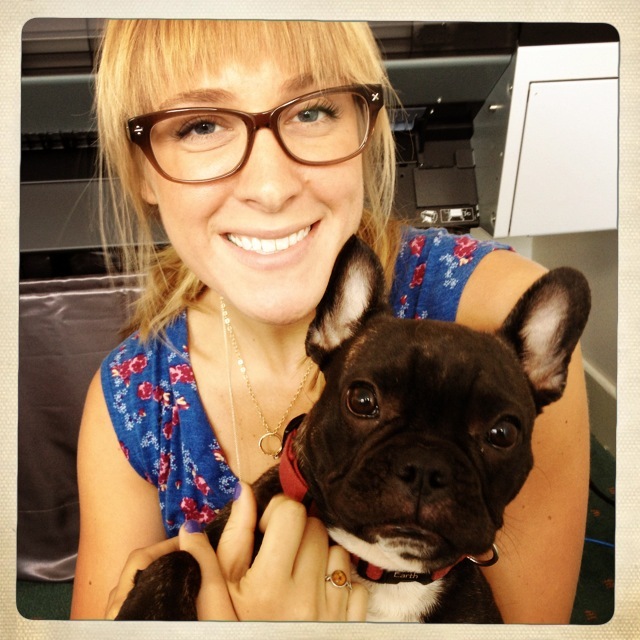 "I really enjoyed the course and don't have anything but positive feedback. It was well taught in terms of the pace, clarity, individual attention, and length. I like the way you tell what is going to be taught, show it, then summarize as review. I actually have a Masters Degree in Education so, from what I have learned, I would say your approach is right on!" 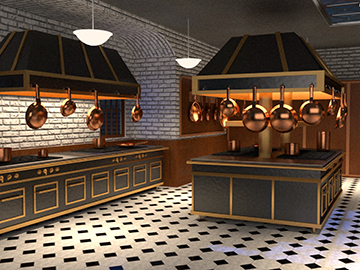 Combine SketchUp, Podium & Photoshop to render stunning images in a fraction of the time. Learn how to light your model and add realistic reflections and finishes in Podium. 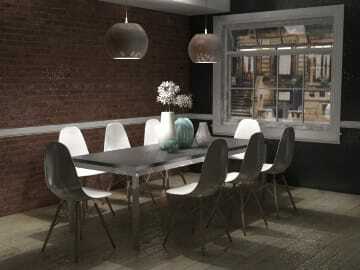 Render a simple interior, plus learn tips and tricks to turn a partial model into a beautiful rendering. 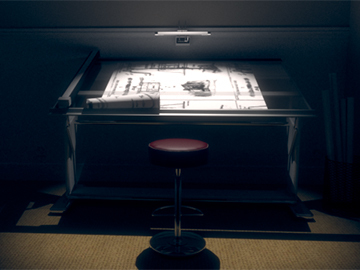 Combine SketchUp, Shaderlight & Photoshop to render stunning images in a fraction of the time. 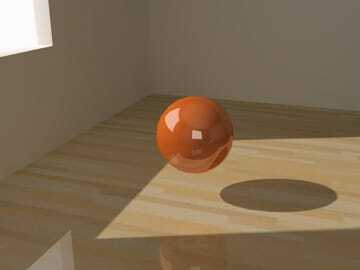 Learn how to light your model and add realistic reflections and finishes in Shaderlight. "Best videos I have ever seen!" "Your videos are the best I have ever seen. 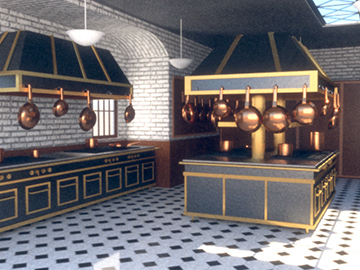 I am telling everyone I know that if you want to become a Sketchup wizard, you need to sign up and learn from the best!!!!" Learn the right way to use the fundamental tools for quick and powerful presentations. 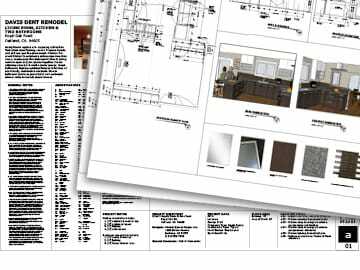 Learn the workflow for creating your construction drawings, and the best methods for keeping them accurate. 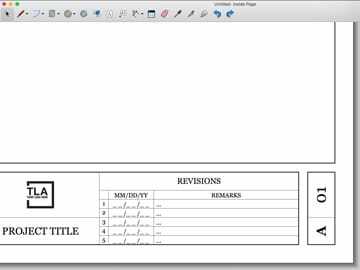 Streamline LayOut by using custom Titleblocks, Document Settings, and more. Discover tips and tricks in LayOut that make it possible to create and manage complex drawing sets. "I really get a lot from your courses. The way you deliver the information is at a cadence where you feel like you're being taken along the journey of learning and being exposed to the true capabilities of the program and the plugins." 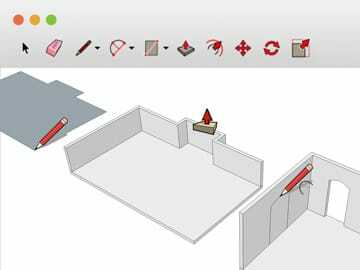 Start by learning the core SketchUp functions to employ in more complicated modeling situations. Learn the fundamental subdivision and sculpting tools, plus strategies for working efficiently with Artisan. 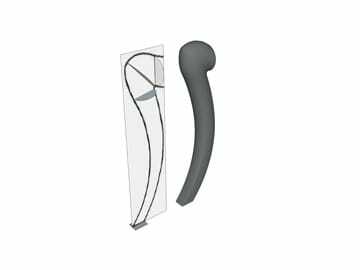 Learn how to create tensile surfaces by skinning edges with the Soap Skin Bubble extension. 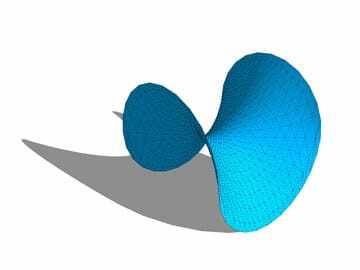 Generate complex and organic surfaces from contours with the Curviloft extension. 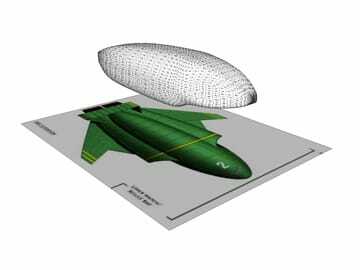 Learn strategies for using Shape Bender to wrap complex shapes along custom paths. Learn how to map 3D objects to organic faces to quickly model intricate, organic shapes. "All of the videos are clear and succinct!" "I really like the course so far. I think you’ve done a remarkable job on making the videos clear and succinct - not too fast, not to slow. Good job!" Bottom Line: You'll have the skills to do what you need to do. Ever heard of SketchUp extensions? 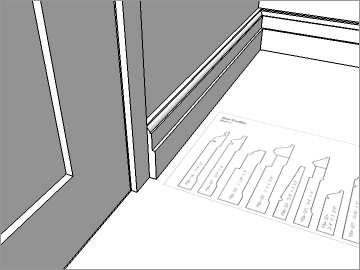 Extensions give SketchUp users superpowers. In many of our more advanced classes, we cover extensions you’ll want to consider buying. And, for almost every extension we cover in our classes, we can save you money. As soon as you sign up, an instructor will reach out, and you two can discuss what you need to learn. We've taken the curriculums from $8700 worth of our in-person classes and broke them down into bite sized lessons. Each lesson is covered in an easy to follow video tutorial. If you get stuck or have a question, we're here to help. We can save you money on the extensions that we teach. If you need to buy SketchUp Pro, might as well save $100! You give us a try for a week for free. our semi-annual plan (you save $365) or our annual plan (you save $1,309).